The energy minister's adviser says the situation is very complicated. The paralysis of the National Regulatory Commission for Energy and Utilities (NRCEU), caused by the dismissal of commission member Borys Tsyhanenko, calls for an urgent involvement of the government, including the National Security Council, according to Serhiy Chekh, an adviser to energy minister. Chekh suggested that the National Security and Defence Council should meet as soon as possible because the energy security of the nation is at stake. He did not rule out that the law on the energy regulator might need to be amended. Chekh said that the commission on the selection of new members of the energy regulator should urgently hold a meeting to appoint acting members before standing members are appointed. The expert insists that the situation is extremely complicated. "In fact, energy payments have stalled as energy tariffs for 2018 have not been set. The market reform is frozen entirely." "In my opinion, the complete paralysis of the work of the NRCEU blocks the reform in the energy sector, not to mention the fact that the country is without the regulator ahead of the winter period," he said. The expert is convinced that the situation has been caused not by the inactivity of the commission but by the irresponsible position of all branches of the government, which had to put in place the necessary conditions for the work of the commission. "If it's a mistake, it must be corrected as soon as possible," Chekh stressed. 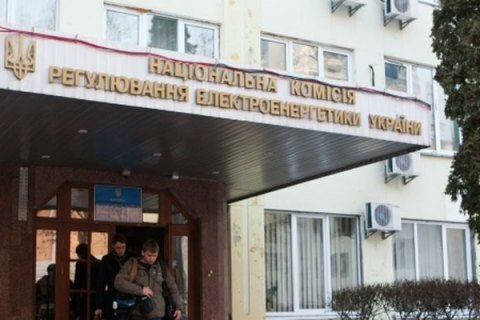 President Poroshenko dismissed NRCEU member Borys Tsyhanenko for blocking the work of the commission. As a result, the regulator lost the quorum. Tsyhanenko is known to be closely connected to oligarch Konstantin Grigorishin (Kostyantyn Hryhoryshyn) and was involved in a suspected major embezzlement during equipment procurement in 2015.